Update December 11, 2016: After a seven-hour battle and several weeks of foreplay, the Pandemic Legion, Northern Coalition and other allied factions have laid waste to a $10,000 Keepstar citadel in EVE Online. You maniacs! You blew it up! Damn you! The battle broke EVE’s record for most pilots gathered simultaneously in a system (confirmed by CCP’s Fozzie) as more then 5,700 players turned up to watch, contribute to or profit from the chaos around the destruction of one of the game’s largest and most expensive space stations. You’ve been watching our Eve Online free to play Let’s Play, of course. EVE’s battle report system is still compiling the results of the battle, but suffice to say with the loss of Circle-of-Two’s billion-ISK Keepstar, much money has just disappeared into the ether. You can watch it all happen, to the dulcet tones of CCP’s Permaband appropriately singing “Wrecking Machine”, below. Big bang is at about 1:44:00. 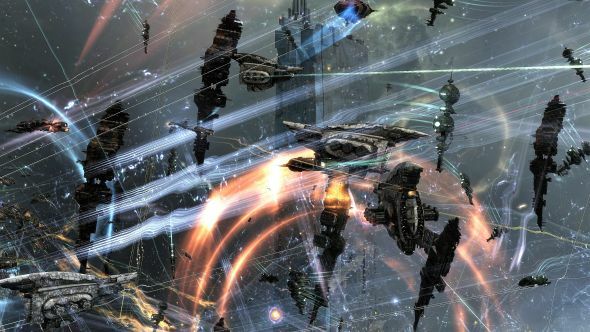 Original Story December 6, 2016: An Eve keepstar is the game’s most ridiculous structure. It costs billions upon billions of ISK to put together, in the region of 10,000 USD worth, and has a Doomsday cannon strapped to the side of it, along with basically the most health anything can have in the game. On Saturday, thousands of people are going to show up and (probably) blow it up. It’s been two months coming, with Pandemic Legion and Northern Coalition going after the Circle of Two – a group allied with TEST, one of the game’s largest player organisations born from Reddit. They’re fighting over the system of Tribute for, well, basically no reason at all. CO2 were massively outnumbered and essentially withdrew. However, still sitting in the system is their keepstar. The reason it’s not already dead is there are internal timers for when keepstars can be attacked. One ran out yesterday, causing most of the PL and NC alliance to show up to grind through the station’s armour. 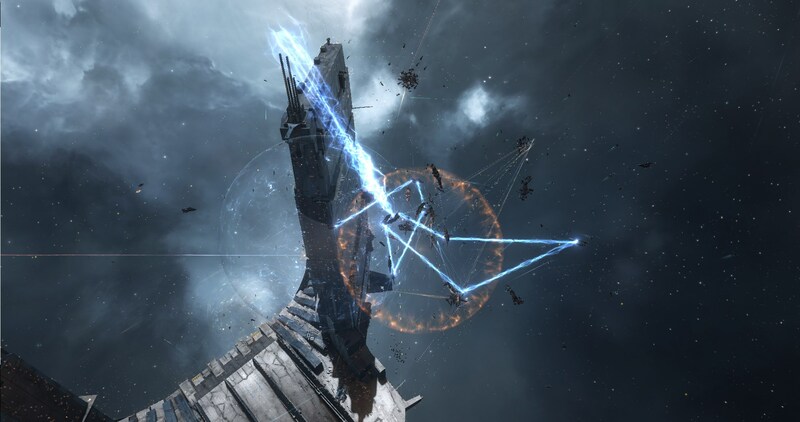 It was believed that the systems on the keepstar had been disabled by a spy, hence why it hadn’t fired back during its previous vulnerability phase the day before. That was a ruse. While a few folks predicted it, the Star Wars references alone seem to have made it worth it. Thus the battle started. Everything in the Tribute system on this list is just the kills the keepstar was involved in. The keepstar’s doomsday weapon fired repeatedly taking out groups of ships with each shot. The battle report is too large to actually load though Reddit poster RonUSMC made a PDF version if you like to see lists of deaths. Eve’s anti-lag mechanism called time dilation also kicked in, slowing everything to a crawl. You can see how that looks in this livestream of the full fight, which took upwards of six hours to conclude. That, apparently, isn’t very fun to fight in, but it does look gorgeous– abnoxiously gorgeous in this Flickr album from pilot Razorien. It also lead to some serious problems with the keepstar itself, hence why the opposing fleet actually managed to do some damage. The next timer expires at 18:50 on Saturday, December 10 according to The Imperium. Given it’s likely the keepstar will actually go down and it will be the first time this has happened to a fully operation and defended one, thousands upon thousands are expected to turn up, none of them particularly interested in defending the space station. One Redditor estimated 6,000, based on the 4,000 that showed up just for the battle this week. This will likely make the lag even worse, but hopefully CO2 can put up a fight – maybe it won’t be destroyed at all.